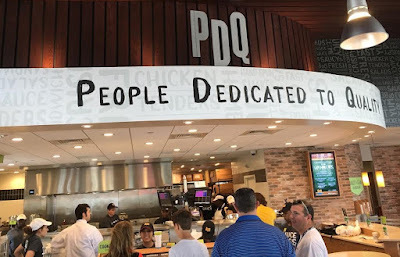 During a recent visit, I stopped in (there's also a drive-through) and placed a gluten-free order of grilled tenders and fries. 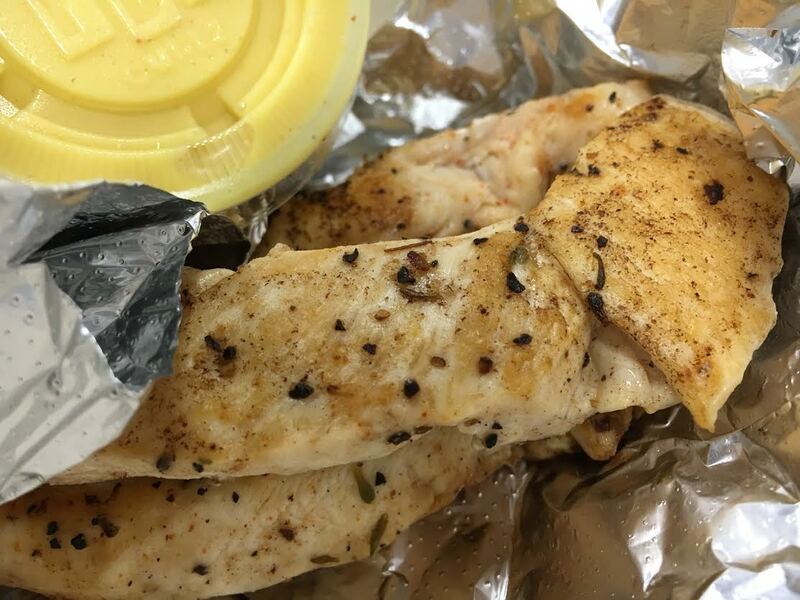 The manager explained that not only is the kitchen staff notified of gluten-free requests, the fries are cooked in a dedicated fryer and the grilled tenders are prepared separately. Though there are no sandwich buns, the grilled chicken and grilled turkey options can be ordered as lettuce wraps. According to PDQ's allergen list, the grilled chicken salad also is gluten free, as are nearly all sauces and dressings. Since the milkshakes - including an Oreo flavor - are mixed using shared spindles, the manager suggested that I could the order just the vanilla ice cream as a dessert. All locations have Coke Freestyle machines and serve Cheerwine soda, a Carolina favorite. As much as I like Chick-fil-A, PDQ's grilled chicken is better, served as tenders rather than nuggets and more flavorful. 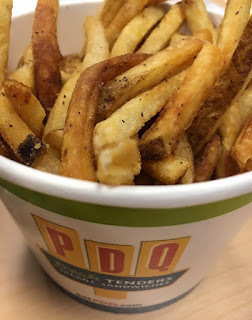 While not as addictive as Chick-fil-A's waffle fries, the skin-on fries at PDQ are well seasoned and tasty. The Cherry Hill location, with its open kitchen, is bright and airy and the employees are cheery, as one would expect of a Southern-rooted restaurant. And if you opt for placing a drive-through order, don't be surprised when you place your order face-to-face with a PDQ employee rather than through an intercom.